A skimmer is at its best when it’s set up to do a good job of removing debris from the water’s surface – and your client or a service technician never has to do much more than give it an occasional cleaning. 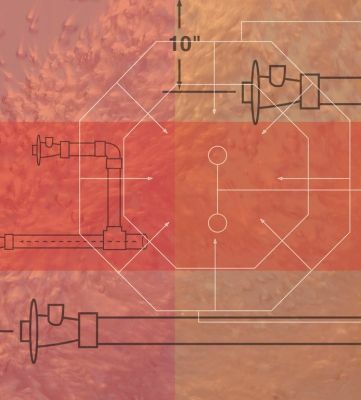 No matter how low key, however, a skimmer’s role in ensuring water clarity is very important, says hydraulics expert Steve Gutai, who continues his series on basic hydraulics with a look at the function and proper installation of these devices. Skimmers are found in just about every type of watershape imaginable, including gunite, vinyl-lined, fiberglass and aboveground pools as well as in-ground and portable spas – not to mention ponds, stream and fountains. In each case, specific skimmers have been designed to serve the individual applications. For purposes of this discussion, let’s keep things simple by sticking to skimmers’ most familiar application – in gunite swimming pools. The main function of a pool’s skimmer is removal of debris from the surface of the water. To do so, the skimmer is connected to the suction-side plumbing of the pool’s pump and draws water across a weir (or a float) as a result of the vacuum created by the pump. The weir (or float) is buoyant by nature and allows only a thin sheet of water to enter the skimmer throat while preventing the formation of a vortex. The water then passes through a basket or strainer that captures leaves and other debris before it can enter the plumbing. 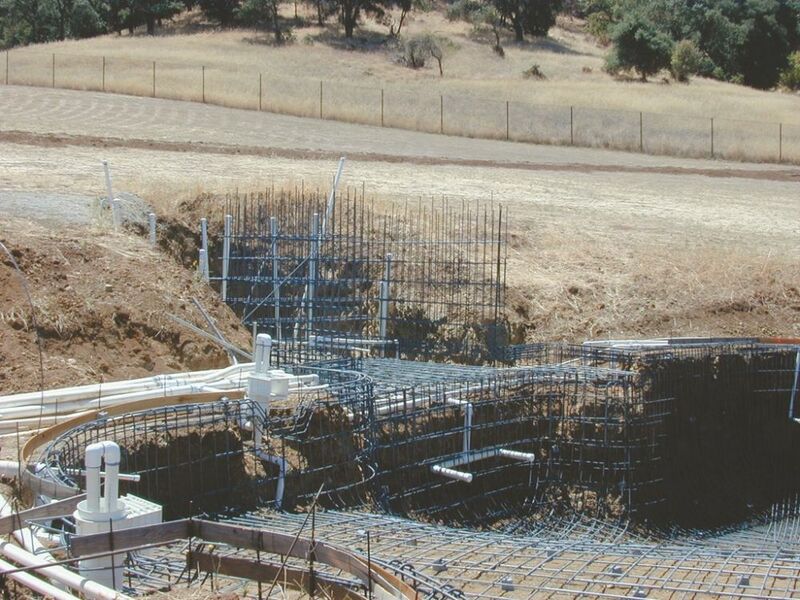 This stage is critical to the system’s long-term performance and serviceability, because it prevents the bulk of the skimmed junk from entering the pump trap. Effective surface skimming also removes debris before it sinks to the pool’s bottom, thus resulting in easier overall cleaning. The National Sanitation Foundation (NSF) rates skimmers in terms of their maximum and minimum flow rates. These can range from a minimum of about 15 gallons per minute to as high as 75 gpm, with optimum flow rates falling in the range from 25 to 55 gpm. Information on the flow rating of any specific skimmer is available from its manufacturer and is one of the criteria used in selecting a skimmer. The size of the pool is also an important factor in determining how many skimmers should be used. Residential pools require at least one skimmer for every 800 feet of surface area, for example, according to the National Spa & Pool Institute/American National Standards Institute document, ANSI/NSPI #5. These standards represent minimums, so if you reduce the surface area or increase the number of skimmers while observing the skimmer’s minimum flow requirements – that is, if you use one skimmer for every 500 square feet of surface or two skimmers in a 1,200-square-foot pool – you increase the pool system’s surface-cleaning efficiency. Commercial pools use higher standards and will typically require one skimmer for each 500 square feet of surface area. These standards will vary from jurisdiction to jurisdiction, however, so you need to consult local Building or Health & Safety officials to determine a project’s specific needs. Skimmers come in two basic varieties: Some have a single port at the bottom, while others have two. Aboveground, fiberglass, vinyl-liner and steel-wall pools typically use single-port skimmers in which only one plumbing connection is made at the bottom of the skimmer. This single flow path creates a clear concern about entrapment, which is why these skimmers usually have a feature that will help divert water around the skimmer if the throat becomes blocked. In all cases, caution should be used when plumbing this type of skimmer. Figure 1: A typical double-port skimmer adaptable for use with either an equalizer line or a main-drain line. Skimmers of this style are seldom used in construction of gunite pools because of the advantages offered by double-port skimmers. In fact, the vast majority of skimmers used in concrete construction have two ports, so we’ll focus on these units here. As the name implies, double-port skimmers have two connections (either socket-style or threaded) on the skimmer’s bottom. The back port is tied to the pump’s suction-side plumbing, while the front port is tied to either the main drain line or an equalizer line. (NSF requires all commercial swimming pools to have an equalizer line.) If the front port isn’t tied to a drain or equalizer line, it is plugged. Double-port skimmers are equipped with a float-valve assembly, a trimmer valve, a check valve or a diverter valve that are critical to effective skimmer operation. If the water level drops below the tile line (or if the skimmer basket becomes plugged with debris), the float assembly will divert water flow to the front port. As the valve plate drops, it opens the spring-loaded check valve, thus pulling water from either the main drain or equalizer line. (NSF also requires this check valve for commercial pools.) 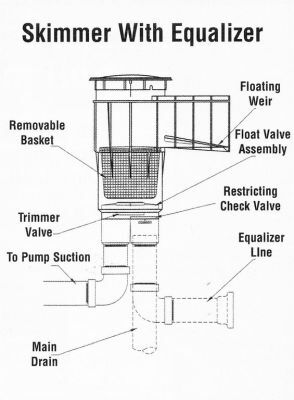 The check valve prevents loss of the pump’s prime or any cavitation that might result from a clogged skimmer basket. * First, the skimmer should be placed downwind to catch most of the debris, or you should position surface return lines to assist the skimmer by pushing debris toward it. * Second, you should always keep your line velocities in mind – generally between 5 and 8 feet per second – and remember that only part of the water will be moving through the skimmer. The ratio of skimmer/main drain flow will vary according to state and local standards, but generally you should look for about 75% skimmer flow against 25% main-drain flow. * Finally, if you’re using multiple skimmers either because of pool size or because the configuration of the vessel lends itself to multiple skimmers, always make sure the plumbing is balanced (a concept that will be discussed in depth in a future installment). Multiple skimmers are often used when a pool’s configuration makes efficient cleaning by just one skimmer impossible – or when the large surface area of a pool requires it, as in this case. When the gunite is applied, these skimmers will be an integral part of the shell, fully plumbed, hydraulically balanced – and ready to go. As for the skimmers themselves, most are made of ABS plastic – but the skimmer bottoms are a different story, and it’s important to know whether the connections at the bottom are made of ABS or PVC. The ports will range from 1-1/2 to 2-1/2 inches, with 2 inches being the most common. If the skimmer bottom has an ABS socket and you are plumbing PVC pipe to it, you must be sure to use glue approved for ABS-to-PVC transitions (such as Weld On #793 or #794) to reduce the risk of potential leaks. If the skimmer bottom has a PVC socket, use a PVC-to-PVC glue such as Weld On #711 or #717. Before applying glue to the sockets, always clean the mating surfaces of all debris and residue and use the appropriate pipe primer before gluing the pipe into socket. If the connections are threaded, do not use pipe dope. Instead, use an approved RTV silicone such as silastic #732. Teflon tape of a Plasto-Joint stick are also effective for this type of joint. In all cases, be sure to use the materials recommended by the manufacturer! The mounting ring and skimmer lid are installed in the finish phase of a job. The mounting ring slips on top of the skimmer body and is leveled as the deck is poured. This ring accepts the skimmer lid and can be moved to adjust for slight variances between deck and skimmer-body levels. The skimmer throat is then finished with tile or another approved surface. Installing a skimmer in a gunite pool isn’t complicated, but it takes a basic understanding of the skimmer’s features and what it’s supposed to do to get it right. If you know your stuff, then choosing the right skimmer, putting it in the right spot in the shell, matching it with the right pump and plumbing it in with the right pipes will all fall into place together – and that’s the way it always should be.